to survive in a cat-eat-mouse world! Dexter is the newest class pet in Miss Clark's classroom. Just as brother and sister mice Molly and Jake are getting settled inside the walls of P.S. 42 and Miss Clark's room, Dexter escapes from his cage and turns the classroom upside down. Pretty soon he's in the company of Molly and Jake, and it's their job to show him how to survive in the world outside his cage. 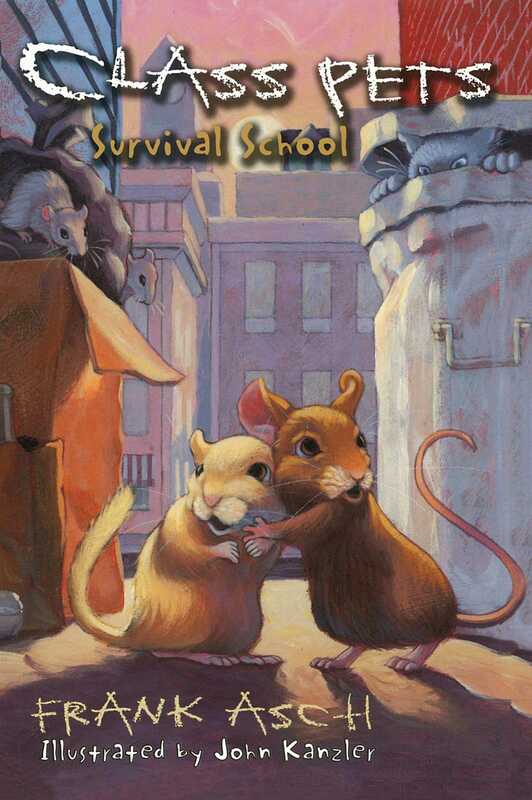 Teaching "survival school" isn't as easy as it seems, and before long, Jake, Molly, and Dexter find themselves caught in a series of survival lessons. Will they ever escape the mousetrap set by the janitor, Mr. Hobbs? Will a run-in with sewer rats mean the end of the line? And will Big Gray, the mean bully cat, show up and claim his revenge on Jake? won't want to miss a single lesson! John Kanzler, his wife, Diane, and their five cats live on a small farm in Greenfield, Massachusetts, which is also home to many, many mice.